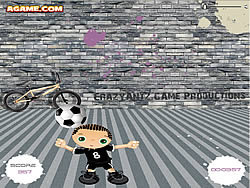 Soccer Folks Game - FunGames.com - Play fun free games. Pick your favorite team and try to balance the soccer ball on your head for as long as possible. Bust bubbles to boost your score!